Soak the urad dal and methi seeds together in enough water for 3 hours and drain. Soak the rice & rice flakes separately in enough water for 3 hours and drain. Blend the urad dal and methi seeds together in a mixer till smooth and frothy (add water little by little as per flowing consistency). Remove and keep aside. Blend the rice in a mixer till smooth. Remove and keep aside. Combine the urad dal paste and rice paste together in a bowl and cover and keep aside to ferment overnight. Once the batter is fermented add salt to the batter and mix well. Put spoonfuls of the batter into greased idli moulds and steam for 10 to 12 minutes. Repeat the process with the remaining batter to make more idlis. 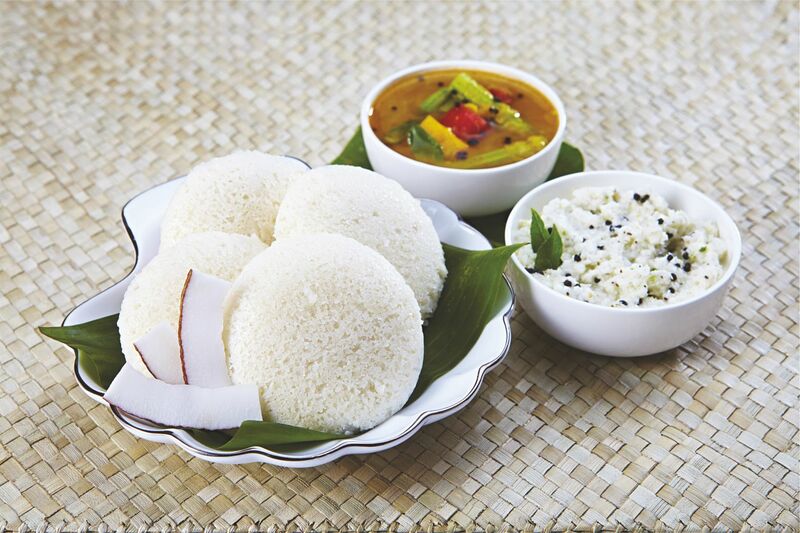 Serve hot with fried coconut chutney and Sambhar.